Why monitor water quality? Monitoring provides the objective evidence necessary to make sound decisions on managing water quality today and in the future. Water-quality monitoring is used to alert us to current, ongoing, and emerging problems; to determine compliance with drinking water standards, and to protect other beneficial uses of water. Assessments based on monitoring data help law makers and water managers measure effectiveness of water policies, determine if water quality is getting better or worse, and formulate new policies to better protect human health and the environment. In the United States, an emphasis is placed on monitoring for compliance with the Clean Water Act and Safe Drinking Water Act, which are administered by the U.S. Environmental Protection Agency (EPA). Responsibilities for water-quality monitoring are spread among many Federal, State, and local agencies. The U.S. Geological Survey (USGS) is a Federal non-regulatory science agency with water-quality monitoring, assessment, and research responsibilities. 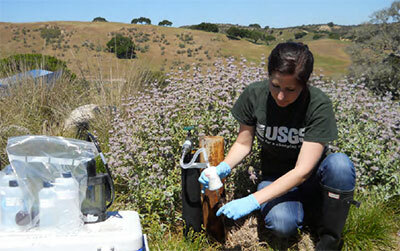 The USGS has been consistently collecting baseline measurements of water quality for decades to serve a multitude of purposes. This comprehensive program seeks to address where are protected groundwater resources, how close are they to oil and gas operations; where is there evidence of fluids from oil and gas sources in protected groundwater, and what pathways or processes are responsible for observed transport; and, have oil and gas operations as a whole contributed to water-quality changes in groundwater basins. The Groundwater Ambient Monitoring and Assessment Program (GAMA) is a statewide, comprehensive assessment of groundwater quality designed to help better understand and identify risks to groundwater resources. The purpose of this study is to evaluate the occurrence of natural and anthropogenic Cr VI, and estimate naturally-occurring background Cr VI concentrations upgradient, near the plume margins, and downgradient from a mapped Cr VI contamination plume near Hinkley, CA. 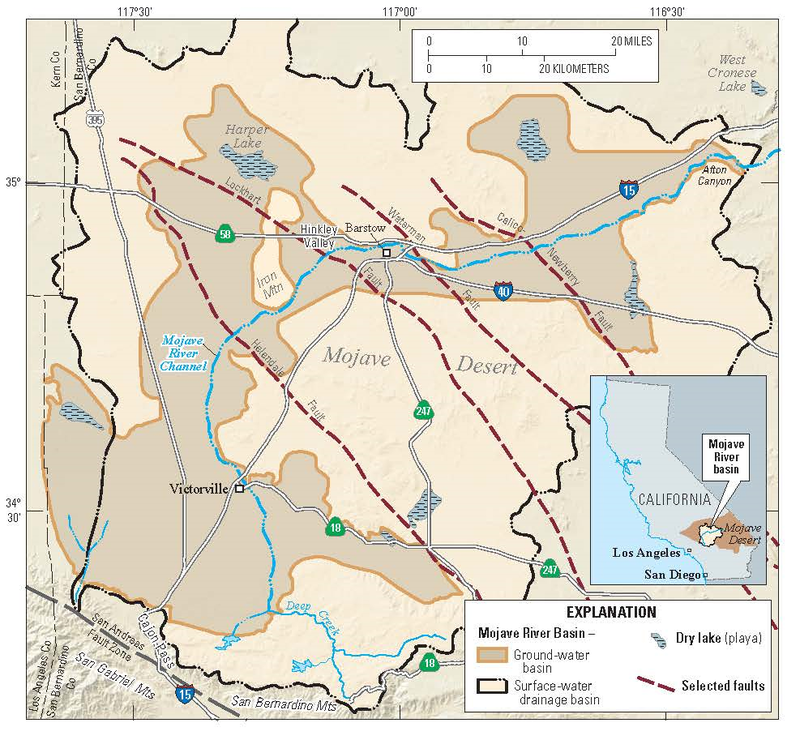 Groundwater is the primary source of potable water in the Mojave River and Morongo basins. Previous studies noted elevated concentrations of several trace elements, nitrate, and total dissolved solids in groundwater in portions of the two basins. This study maps concentrations of selected water-quality constituents (arsenic, boron, chromium-6, total chromium, dissolved oxygen, fluoride, iron, manganese, nitriate plus nitrite as nitrogen, total dissolved solids, uranium, and vanadium) in the two groundwater basins using data collected by the USGS and Mojave Water Agency from 2000 to 2012. Pesticides are applied in agricultural and urban areas to control weeds, insects, and other pests. These chemicals can be transported off-site into streams and groundwater where they partition between water and sediment and degrade over time.